It’s Saturday afternoon. The birds are chirping outside, you just completed a huge project for an amazing client, and you finally have a weekend off where you don’t have to worry. For all intents and purposes, everything seems great. You sit down at your computer with the aspiration of writing a fantastic blog post, and you draw a complete blank. Perhaps you have the weekend blues, or maybe you cannot figure out what your next topic should be. Thankfully, after writing for several years, I have found that there are going to be times when I just cannot seem to write a single word on even the most interesting topic. I believe that the biggest issue, for me, is that I simply do not know what to write. However, I have an advantage that I believe most seasoned writers also have – I know how to form content ideas that propel me to write great content. Usually, the hardest part of the writing process is coming up with an idea for your topic. Let’s delve into the process so that you are not sitting in front of a blank Word document daydreaming your Saturday afternoon away like I have done countless times in the past. I have found that there is no one method to start brainstorming content ideas. Depending on your niche, you will need to have an arsenal of methods that allow you to come up with great ideas. While this list may seem overwhelming at first, you will find that with a little practice, you will be coming up with more ideas than you ever thought possible. We also provide a tool roundup which you can use to easily gather all of the tools and URLs that we use to quickly start assessing an industry and begin formulating ideas. Let’s get started. Comments can become a minefield of great ideas that many bloggers and content creators ignore. Oftentimes, people that comment simply have questions, or they want to give some insight into the topic that has been posted. This is a great avenue for generating more ideas that comes from actual readers asking actual questions. As an example, we will be looking at a great piece written by QuickSprout. If you have never been to the site before, grab some coffee and be prepared to learn. The content and information provided is simply priceless. This particular piece is about the dreaded Penguin 3.0 update that will eventually come to realization and leave some website owners clamoring to pick up the pieces. Viewing the comments on this post, you will see that 172 people have left a response. There are sure to be a great responses that can lead to great content ideas. From the comments section, we can see that people are still unsure if anchor text over optimization is an issue with internal linking, or if over optimization only pertains to external links on a website. Over Optimized Anchor Text: What Does This Mean for Your Internal links? Now, we can start ironing out our ideas by adding in some great points that we would like to cover. Why is Google against over optimization? 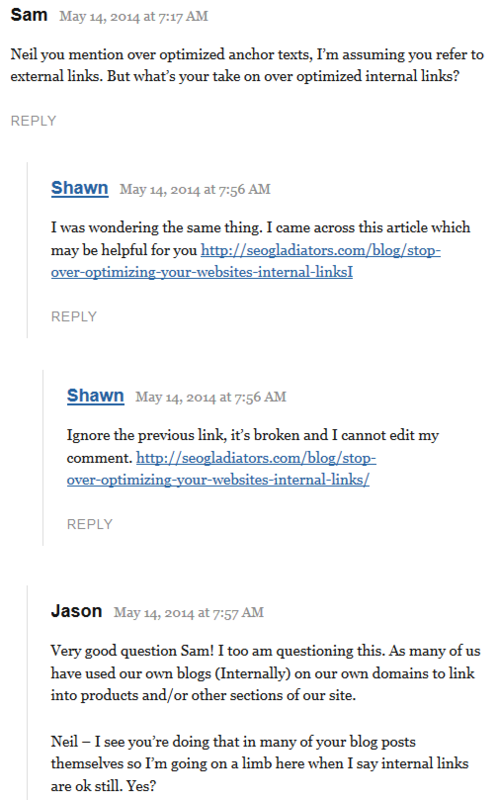 Does internal linking suffer over optimization woes? For many businesses, social media is still an untapped resource that can provide them with unlimited content ideas. People tweet and share content that’s important to them; topics that jive with them. You can use this to your advantage by creating content that people are already looking for or interested in. You can also use social media to find questions that your target audience is asking and answer them through the content you create. There are several tools you can use to find social trends and discover what your target audience is talking about right now. In 2013, Facebook jumped on the hashtags bandwagon. Although the feature is not quite as popular as it is on Twitter, it can still be useful in helping you find new content ideas for your website or blog. Searching for posts with specific hashtags is simple and straightforward. Let’s say you were looking for topic ideas for a content marketing blog. Searching for “#contentmarketing” will yield a list of posts with the #contentmarketing hashtag. Tip: Before you hit enter on your search, make sure that you pay attention to the dropdown list that pops up under the search bar. Hitting enter will bring you to the first page listed, which may not be the hashtag results. Look for the result with the yellow icon and a hashtag in front of the search term. Trending is another relatively new feature Facebook introduced that helps users see what topics people are buzzing about. Trends appear on the right sidebar, and clicking on a trend will bring up a list of posts discussing that topic. 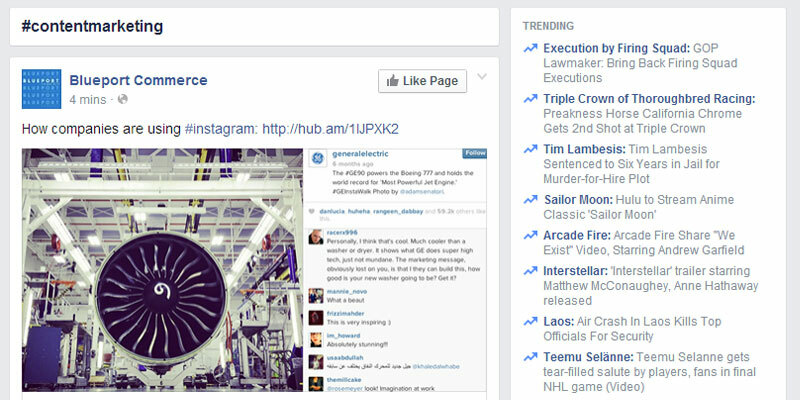 Facebook’s Trending feature can be a great tool for newsjacking or blogs that rely on recent news stories for content. Twitter can be an amazing place to discover new content ideas. More than 9,000 tweets go out every second of the day, equaling roughly 50 million tweets each day. That gives you 50 million opportunities to find new content ideas every single day. Between Twitter’s Search and Discover features, you can find yourself compiling list after list of post ideas. 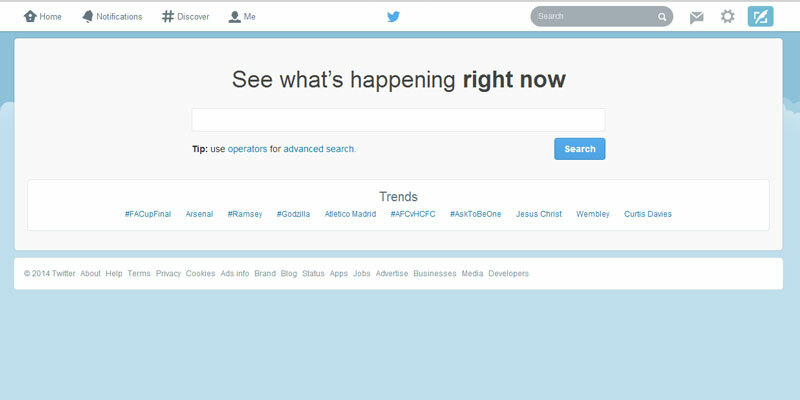 You can also search for tweets that are negative, positive or pose a question. Twitter’s search gives you countless ways to find new content ideas. Twitter also has a Discover feature that allows you to view the latest tweets based on the people you follow and the people your followers follow. Discover is a great way to find content inspiration and trending news topics in your industry or niche. Hshtags calls itself a “social media search engine dedicated to hashtags,” and I’d say that’s a pretty accurate description. When you land on its homepage, Hshtags greets you with a simple search box to enter your desired hashtag. Its intelligent search aggregates posts from Twitter, Facebook, Instagram, YouTube, Flickr, Vimeo, Google Plus and Tumblr that include the hashtag you search for. Forums may not technically be considered “social media,” but they are platforms where consumers and everyday people talk about things that matter to them. Omgili searches discussions on message boards and forums for your keyword or search phrase. Using this tool, you can find questions your target audience is asking and their thoughts about products/services in your industry. If you have read the previous section about comments, you are properly wondering how you can find great comments on a continual basis. After all, there is only so much reading that you can fit into the day. 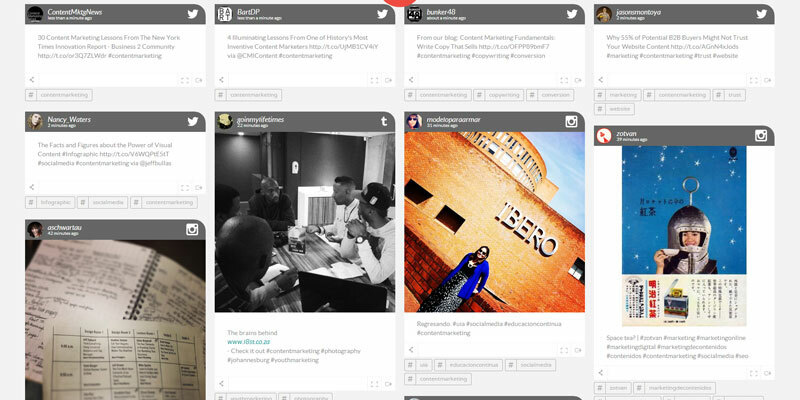 The absolute best way to keep up-to-date with your favorite blogs or industry leaders is through feeds. Feeds allow you to read posts using feed readers, eliminating the need to visit hundreds of websites to find great new content. Reading allows you to keep your creative juices flowing and provides you with new information. Feedly: My personal favorite. Available for iOS, Android and the web, Feedly is extremely popular and easy to use. Newsvibe: A web-based RSS reader that allows you to read articles on any device. Pulse: An aesthetically pleasing reader that is only available on Android and iOS. You can also use Pulse right from LinkedIn.com. The Older Reader: Never miss a thing with The Old Reader. Add up to 100 feeds for free and add subscriptions with ease. This is a web-based reader. There are dozens of great RSS readers that can be listed, but these are the four that I have had the pleasure of personally trying. Note: Always categorize the feeds that you add. Each reader will have a different method for categorizing feeds, but ensure that your feeds are organized in an easy-to-read manner. This allows you to quickly find the latest topics that mean the most to you. This eliminates the need to weed through dozens of sites just to find what you’re looking for. In a world where there are millions of fresh blog posts published daily, you will find that coming up with a truly big hit seems nearly impossible. Let’s face the truth, the vast majority of content really isn’t that good. This may be because a person simply is trying to make fast cash and writing horrible content, but the biggest concern is that even great content may not have a readership. Inspiration from competitors is a great way to find content that will work for you; however, you need to know how to decipher your competitor’s content appropriately. 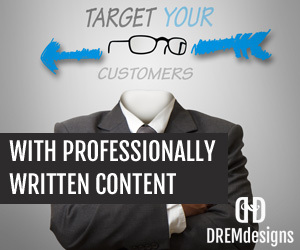 You do not want to rewrite the same content. You want to be inspired and to know what works. Create content that is longer, more engaging and more thorough. Put a twist on the subject. You can approach it from a different angle or completely disagree with it. Gather information to put into an infographic. You must create something better, but you already have the benefit of knowing this content will work, so you can spend more time on it. If you are up against a huge entity, such as the Huffington Post or Forbes, it will be impossible to judge the value of their content. Larger websites have so many readers that these publications can merely post anything with moderate success. Instead, you want to find bloggers or other smaller websites that have published great content. Starting with the most basic of avenues, Google is a great way to start finding great content ideas, but you will need help from a trusted add-on: MozBar. What does this toolbar do? Well, it allows you to judge the searches that you perform on Google. What you want to do is perform a regular search and browse through the results, with the toolbar enabled, to find content that ranks highly and is not coming from a domain that is overly popular. Thankfully, MozBar makes this easy. When typing in popular vegan food ideas I came across the following on page 2. MozBar tells you that this post has 19 links and a domain authority of 25, which is not too hard to compete with. Now, upon further inspection, this same post received 769 Facebook likes. People are obviously interested in recipes, and content curation would be the perfect opportunity to make amazing content in this niche that people want to read or see. Now, why should you use an SEO toolbar? The MozBar is a great way to simply judge the popularity of the content’s source. Remember, places like AllRecipies (currently #1 in this niche) already have a huge readership where people will simply read and share their content often because of their immense traffic. The key is to find domains that are not as popular, but have popular posts. These are ideas that will drive your content marketing strategy to new heights. If you like a particular site and want to simply gather a few ideas, the right query will help. The above query will provide you with a list of all the pages on a site. I am addicted to QuickSprout simply because Neil provides priceless information for free at all times. Do you know what else QuickSprout offers besides an awesome wealth of information? The QuickSprout Analysis tool that allows anyone to dig deeper into their competition. Now, you can analyze all of the SEO factors, but this is not what this article is about. Instead, you will want to dig even deeper into the website analyzer so that you can really start to develop content ideas. Go to quicksprout.com and type in your competitor’s URL. Now, click “social media analysis.” This can take a while to process, but it is well worth the wait. The initial start of the report is not what we are interested in. instead, you will want to scroll down to the Page Level Results. 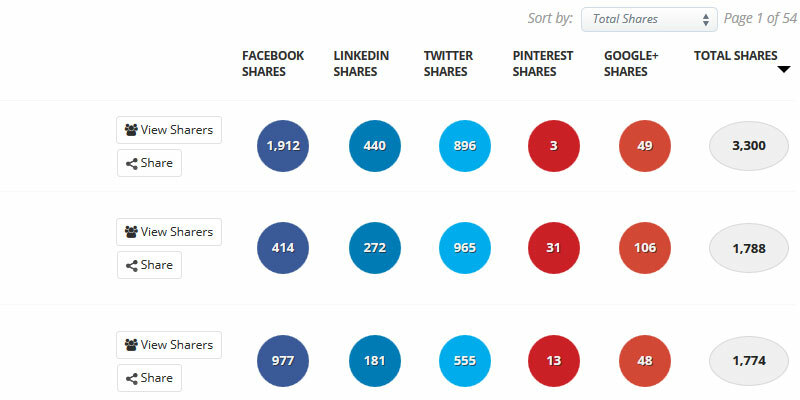 This is a breakdown of all the pages a site has as well as their total shares on the top 5 social networks. As you can see from the image above, everything is laid out nicely for you to analyze. This information will allow you to see which pieces of content have worked wonderfully for your competition. In this case, “Homemade oatmeal dog shampoo” seems to be a topic that is in demand and very popular. This is one of the easiest methods discussed, but you will need to further drill down the results to find articles that are not from major websites. What can Pinterest show you about your niche besides a bunch of pictures? Well, if you search through the results, you can find really good avenues for ideas. Let’s see how this works. This particular pin was about the One Song Workout. This should have your head filled with ideas. Perhaps a top 10 list of songs that are great for your one song workout. Or an infographic of what workouts most people can complete within just one song’s duration. People are always looking for alternative fitness methods and working out to a song gives you a lot that you can build off of. Answer sites are a goldmine for content ideas. Some industries and niches are able to get more use out of these sites than others, but they can be great resources for any topic. If you think outside the box, you may find some hidden gems that can help you create viral content. Check out Wikipedia’s list for more sites that you can use. Some answer sites are dedicated to specific topics, such as medical or legal, so be mindful of this before you start searching every site. So why would you bother using answer sites to find content ideas? The questions asked are posted by everyday users; probably people who use your products or services. There’s a good chance that other people have the same questions and are looking for an expert to give them answers. This is your opportunity to do so. Let’s say a personal injury lawyer was looking to create content focused on car accidents. A quick search on Yahoo! Answers can generate quite a few topic ideas. Car Accidents: Who Should Pay? Car Accident and No Insurance? What Happens Next? These are only rough ideas, but you can use questions to fine-tune your content ideas and provide solutions for questions that have yet to be answered. Google Trends was launched in May 2006. Although it may not look like much on the surface, Trends can be a fantastic resource for finding hot topics and new ideas for your content – regardless of where you are in the world. When you land on Google Trend’s homepage, you’re presented with a Trending Now list and a list of Top Charts. Both of these lists are tailored to your location. The Top Charts list allows you to explore search trends in specific categories, or niches if you will. You’ll find everything here from business and politics to nature, lifestyle, entertainment, sports, travel and more. 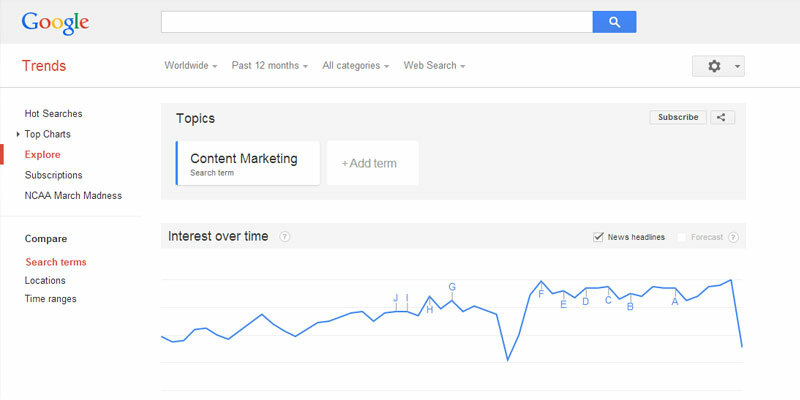 Each chart lists the top search term for that particular category. You also have the option of looking at trending search terms. Trending searches allow you to capitalize on topics that are gaining interest. 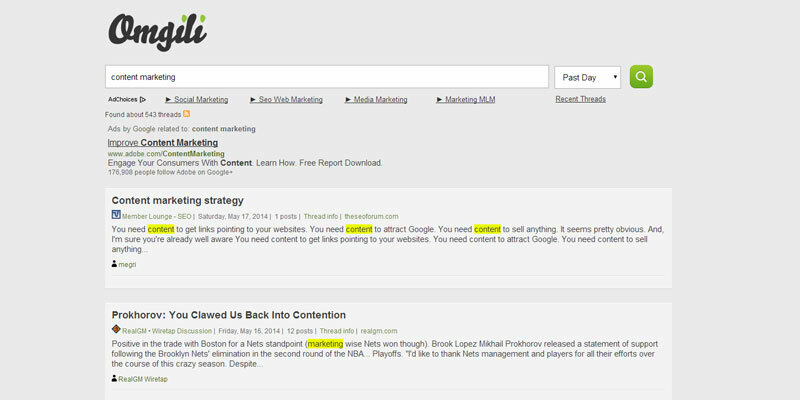 Using the Explore tab, you can further explore trends related to any keyword or topic. Let’s say you were looking for some content ideas about dogs. Using the Explore feature, you can take a look at Related Searches and switch over the to “Rising” tab. In this case, searches for “Miley Cyrus dog” are up a whopping 1,300%, likely because of the death of her dog. Using this information, you can create a post that discusses the impact of the loss of a pet and tie in Miley’s unfortunate situation. Just from this simple list of rising queries you can find six other content ideas that you can implement into your content strategy. Let’s round-up all of the great tools we discussed in this post. Newsjacking and news aggregator websites can also help you form new content ideas, but these need to be capitalized on immediately in order for them to really be effective. There are numerous ways to gather new content ideas, but what it ultimately comes down to is finding topics that are in demand. 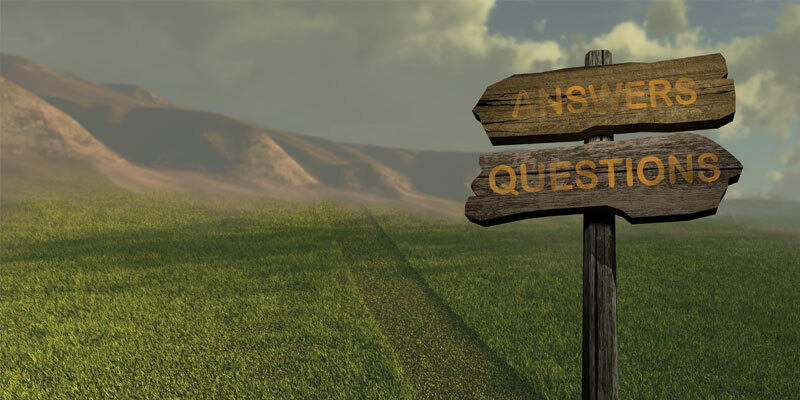 What questions is your target audience asking? What kind of information are they looking for? Always keep this in mind when searching for new content ideas. How do you find new content ideas? Leave your response below! Rene is a staff writer on the DREMdesigns team. She has more than 6 years of experience with SEO, writing content and content management. When Rene is not writing, she can be found painting, reading or doing yoga.